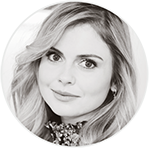 Today (November 12th), Rose McIver is attending ‘FAN EXPO Vancouver’ alongside her ‘iZombie‘ co-stars Rahul Kohli, Aly Michalka, Robert Buckley and Malcolm Goodwin. This event takes place in Vancouver (Canada). 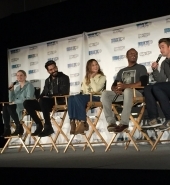 #iZombie cast says show resonates with people because it is self-aware and tongue and cheek. 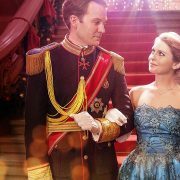 Dream guest stars? 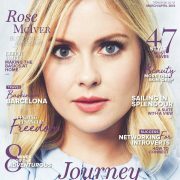 Rose McIver: Ricky Gervais. Rahul: Rhianna. Malcolm: Rob Thomas and Robert: Bill Murray. Rahul would eat stripper brain. Rose and Aly would eat magician brain. Malcolm positivity brain and Rob would eat D&D brain. Rose said they laughed so much in the D&D scene that it took them 12 hours to film. Rose said the writing is pop culture driven and it connects so well. 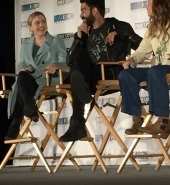 Rose said she loved playing Tinkerbell….fans of #OnceUponaTime are amazing. Liv is on white rapper brain and Rose is learning how to rap rapidly right now. 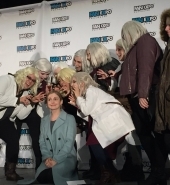 Rose McIver spoiling a bit of season 4 of #iZombie. Robert said it wasn’t hard to channel a 16-year old girl as that is how he talks in real-life and wanted to tone it down but the producers wanted him to amped it up.